But this is not just Jimmy’s story about reinventing himself after being a stand-up guy for twenty-five years, it also the story of young Milena. Milena is only thirteen when her story begins. She is an Italian teenage girl in the 1970s. Against the background of notorious NYC serial killers and the Vietnam war, her role is to get married and have children. Milena rebels against this stereotype by making poor choices in men and getting involved in crime. Eventually, she marries a made man and they have children. Her husband pulls her into his world with varying results. 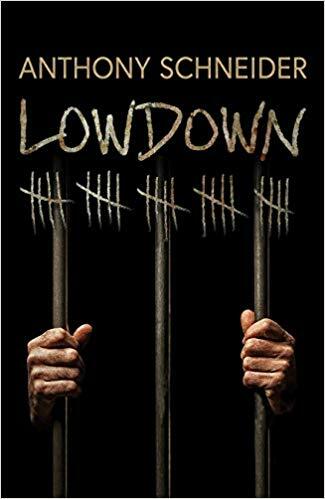 Forgive me for quoting so much of the book but the language used is part of the charm of Lowdown. While it has mob killings and rats, it is more a love story of two people in a difficult setting finding each other. I love mafia movies and was expecting something along the lines of The Godfather. This is similar to the life story of Kay Adams-Corleone (Michael’s wife played by Diane Keaton) written after divorcing Michael. It is definitely more of a romance than a mafia book. It is recommended for readers who want an original perspective on mob life. 4.5 stars! Thanks to the publisher, Permanent Press, and NetGalley for an advance copy in exchange for an honest review. With mob rats, mob war and President Kennedy’s killer, the United States of Murder Inc Vol 1 starts a new mafia graphic novel series off strong. Valentine becomes a made man in the mafia like his father and grandfather before him. With his cousin Dino, he is sent to D.C. to deliver a package to a Senator. Valentine meets a beautiful redhead, Jagger Rose, on the train. She says she was a childhood friend of his sister. She states that the mob has sent her to keep an eye on him during his first task, but she is actually a mob hitman sent to protect him. After delivering the package, the Senator’s building explodes, killing Dino. Valentino’s mob bosses swear it wasn’t his case that detonated. Valentine goes home to his mother. She tells him his great-grandfather shot Kennedy for the mob. When his mother tells him she birthed him to be a mob spy for her bosses in the FBI, Valentino is understandably upset. Switching between present day and mid-20th century, the story has plenty of plot. The use of sepia tones in the flashbacks makes it easy to tell what time period is being described. The plot is reminiscent of The Godfather series. The mob families are fighting. The CIA is trying to get revenge on the senator’s behalf. Valentine and Jagger are ultimately alone and fighting for their lives. 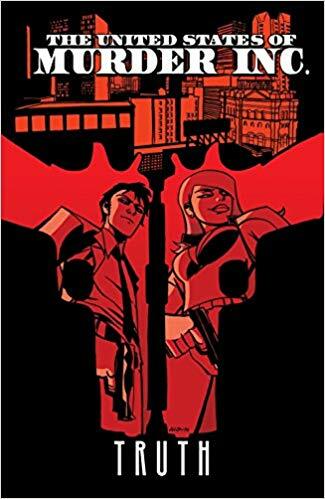 While the United States of Murder Inc Vol 1 has an interesting story, it isn’t very unique. I hope that it will be developed more in future volumes. If you like mobster stories, this is a good read. 3 stars. Thanks to the publisher, Jinxworld, and NetGalley for an advance copy. Immerse yourself in the world of New York mafia kingpin, Frank Costello, labeled a Top Hoodlum by FBI director, J. Edgar Hoover. Prohibition was a marvelous time for organized crime in 1920s New York City. Bringing in liquor from Canada, Frank and all his cronies became millionaires supplying the addictions of both rich and poor. After it ends, Frank puts his money into legitimate businesses and works to negotiate truces between mob families as far away as Chicago. 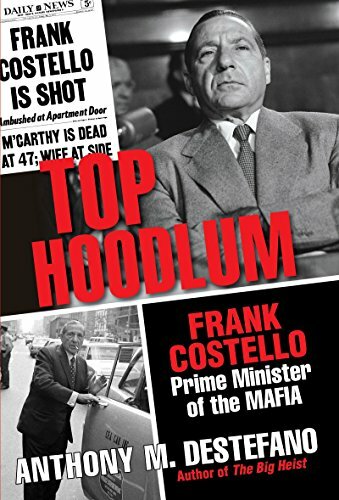 The names within Top Hoodlum are familiar to anyone who has ever watched a Hollywood mafia production such as the Godfather or Boardwalk Empire. Al Capone, Lucky Luciano and Meyer Lansky are all here. The famous restaurant assassination scene in the Godfather was real and meticulous detailed here. Readers who like mafia movies will be engrossed by the well-researched Top Hoodlum. 3 stars! Thanks to the publisher, Citadel, and NetGalley for an advanced copy. Blood Standard is a beautifully written slow-moving hardboiled noir. Isaiah Coleridge is an enforcer with the Chicago mob. Since he is Maori, he can never be truly part of the Family. When he falls out of favor, he is sent to Nome Alaska, the “Mafia penal colony”. After letting his feelings toward animal cruelty get the best of him, he is abruptly tossed out of the Life. On his own and hiding in a small upstate New York commune, he looks into the disappearance of the granddaughter of the owners. Realistically, that thought could have been expressed in substantially fewer words—but it wouldn’t have been half as memorable. The book reads as if each sentence was edited and re-edited until it was the perfect example of the author’s thoughts. 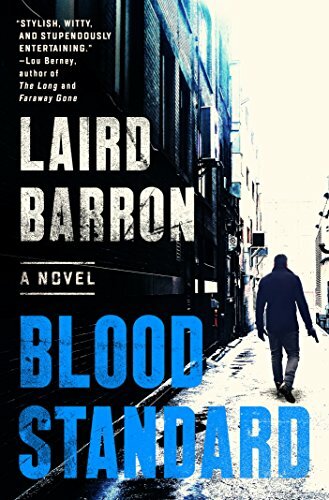 Laird Barron has won the Bram Stoker award for horror and was nominated for a World Fantasy award. This is his first mystery/thriller. Thrillers are by their nature propulsive reads. Speed accelerates the feeling of danger. Blood Standard flows along more slowly, savoring its words and thoughts, and so losing the thriller pacing. This may be okay for readers used to reading horror, fantasy, or even literary fiction. It just felt off to me. I kept putting off reading it but finally finished a couple weeks after I started it. While I can’t recommend it, I don’t want to say it’s bad—it’s just different and is sure to appeal to some readers. 3 stars. Thanks to the publisher, Dutton, and NetGalley for an advance copy.